Hey you guys, I hope you had an awesome weekend? Mine flew by way too fast, I don’t know about you. 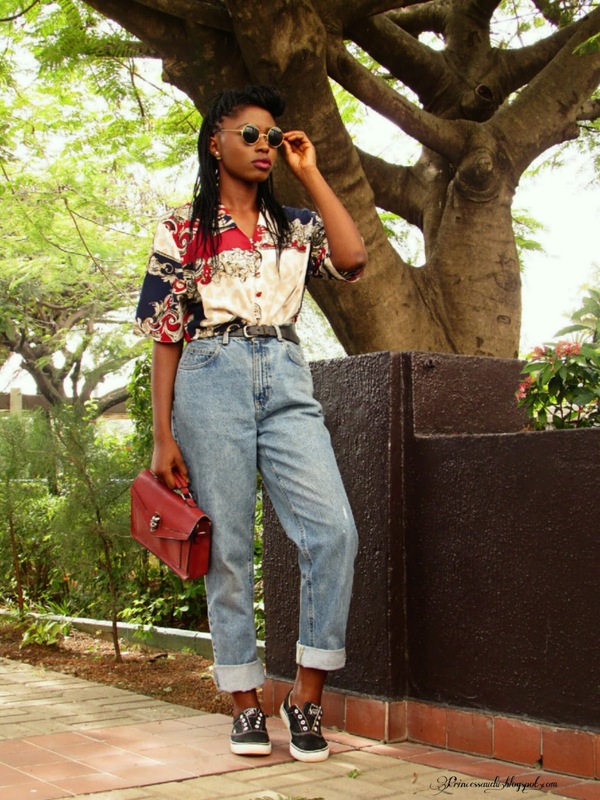 Moving on, the perfect pair of mom jeans is a must-have in any fashion enthusiasts’ closet. 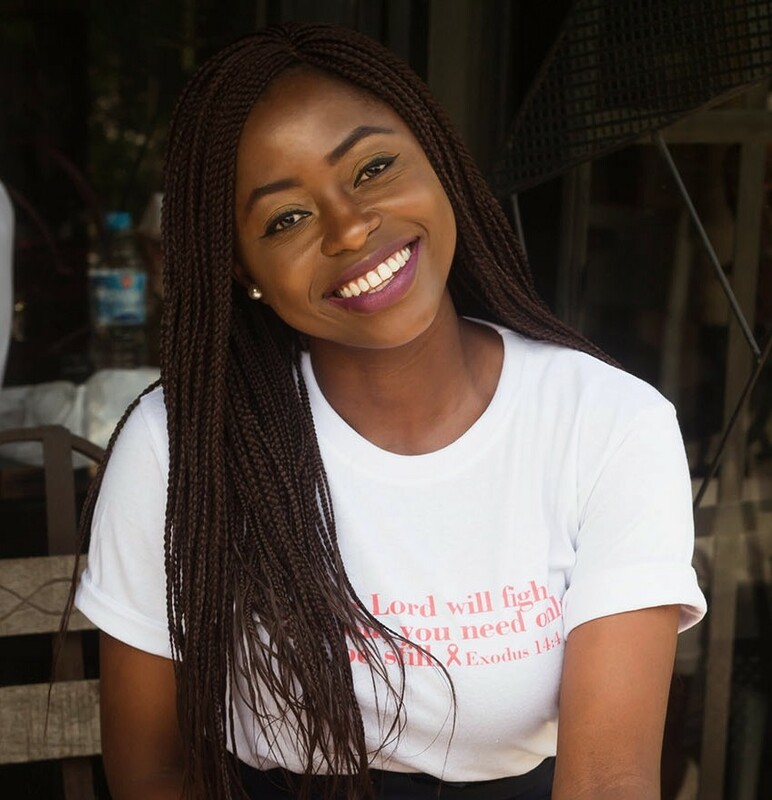 I believe it’s a closet staple which can be dressed up and down, however, finding that perfect pair can be quite daunting. Now ideally you’d want a perfect fit on the waist and a slightly loose fit on the hips. However thank God for belts which are perfect for cinching in the waist. 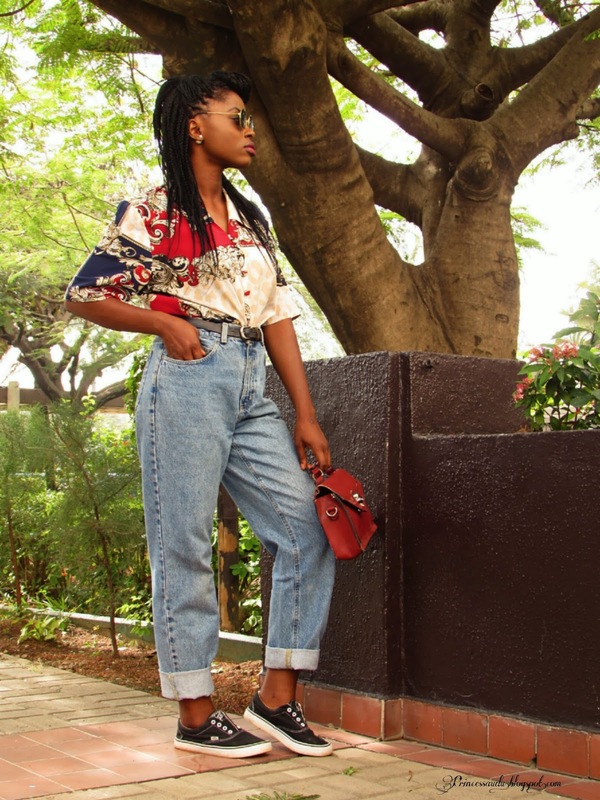 After de-cluttering my closet last year, I had to let go of my first pair of mom jeans (styled here and here) as it had faded. Though in retrospect, I probably should have just dyed it but oh well. And thus began my search for a new pair. 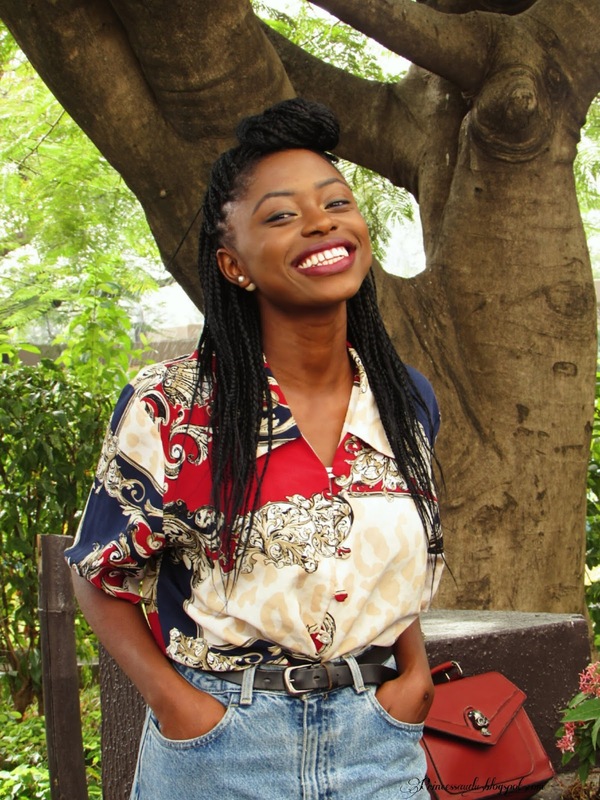 So you can imagine how excited I was when the Vintage Closet 9ja came through for me at such an affordable price too and did I mention the amazing customer service which is so rare these days. 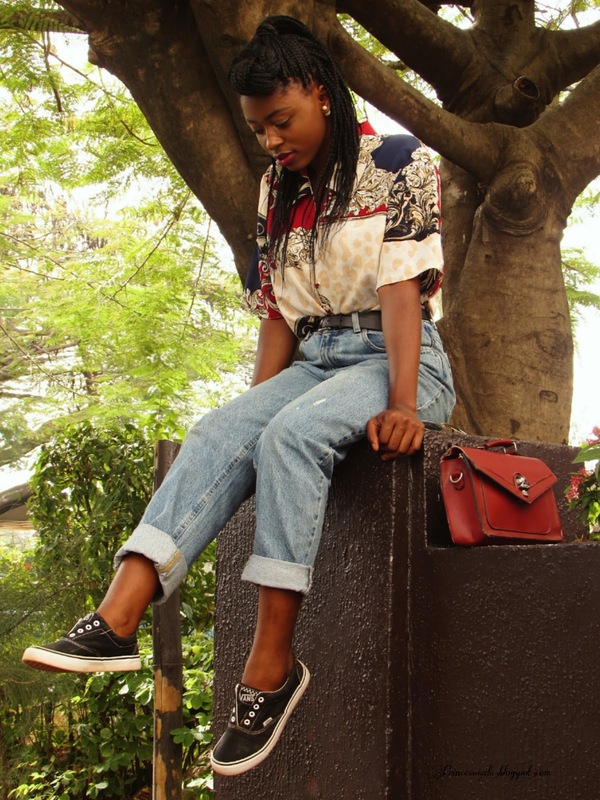 In styling, I paired the jeans with a vintage shirt from my store The Vintage Connection Ng and then opted for basic sneakers. On a casual day this would be my go-to fit. On another note, a recent conversation on twitter and a Facebook video had me reflecting as I remembered a note from a bible reading. In this life we tend to move from different situations and experiences as we try to find things that will make us happy. People, jobs or even money to make us happy, fulfilled and accomplished. But can I tell you something, it’s all a waste of time. That guy or girl can’t make you complete, that money no matter how huge, will never be enough. That job, no matter how great would never truly satisfy you. The only thing that can make one truly complete is God. Finding him and knowing him is everything. I can’t explain the feeling of knowing that no matter what we go through in life, the Lord of heavens armies is always right beside us (Joshua 1:5). So what am I trying to say, stop chasing broken cisterns, they won’t make you satisfied. The only thing that can truly fill us up is the fountain of living waters and that is my God. The song 'Looking for love' by Out of Eden said it best". @Ada thanks will check it out. 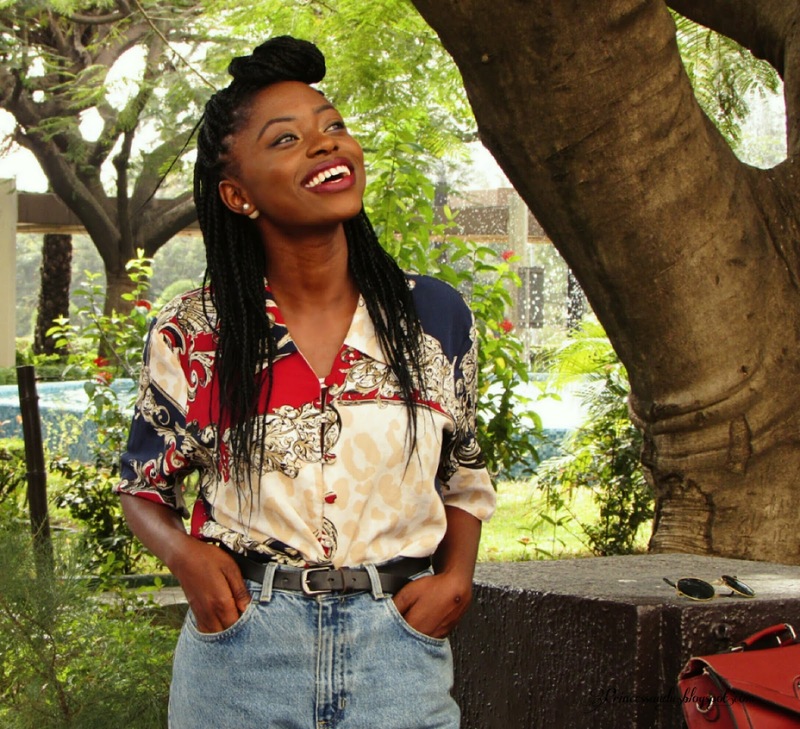 @Anniedora you should check out the vintage closet 9ja. They offer a wide selection and affordable prices plus the customer service is amazing. This look is so beautiful. Wow... it's amazing. This look is perfect ! Thanks hun, honestly thrift stores are the best places for items such as this. Hi Sarah, Mom jeans are a trend I have not yet tried before. 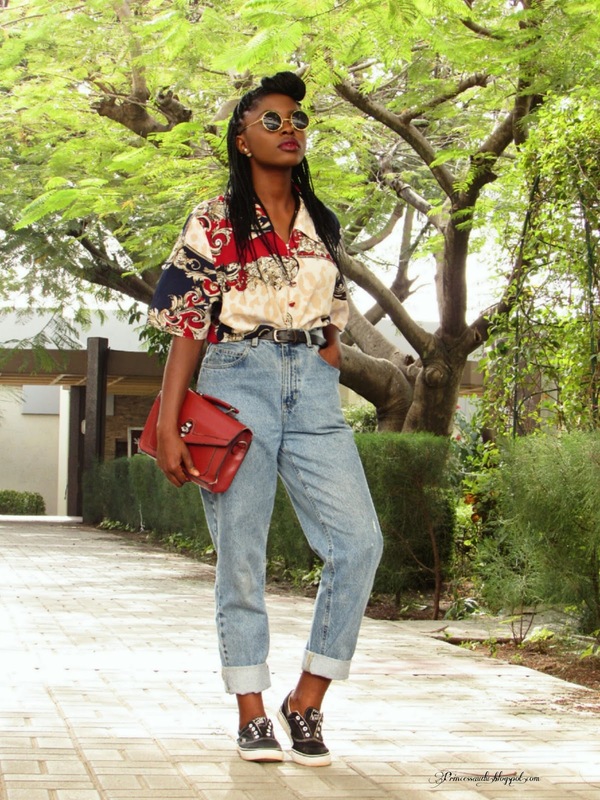 I am loving the vintage top paired with the mom jeans.Knowing me , I would probably add heels or boots to this look. All in all I love how you styled it.Can I also mention how much I love your braids. You making me want to get braids. Thanks Stephy, you should get braids for a change too. And I'd proabably dress this up my pairing heels too. Hi Sarah. I love this look! The search for the right pair of mom jeans is quite a struggle. Yours fits perfectly and your shirt is so gorg! This is something I'd definitely wear. It is indeed a struggle but thank God for online vintage stores that always come through for a sister. Thanks Izzy, I'm glad you could stop by. This Mom jean craze is something, I love your vintage shirt and d jean too, but you should have stated the price of the jean.